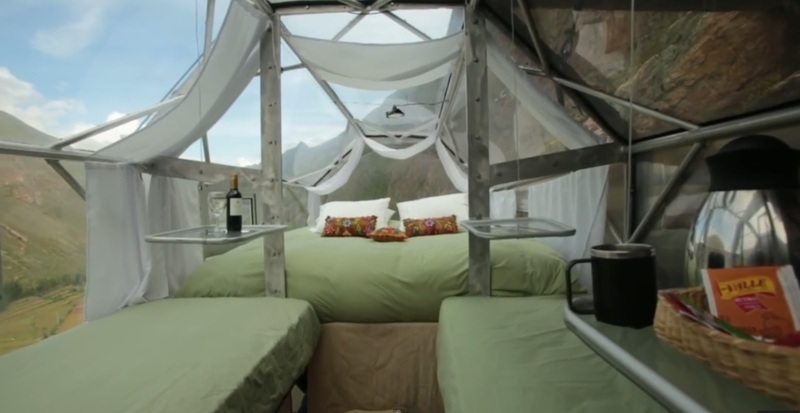 Have you ever wanted to sleep in a condor’s nest? Here is the next best thing! 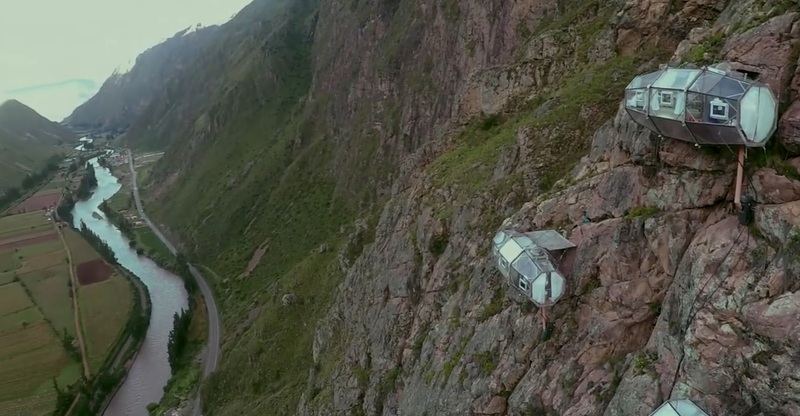 A transparent luxury capsule that hangs from the top of a mountain. Skylodge Adventure Suites (an innovation by Natura Vive) offers you the chance to sleep within a completely transparent hanging bedroom, that allows you to appreciate the impressive view of a below valley. The design has been proven at Natura Vive where three capsules sleep up to 8 people. 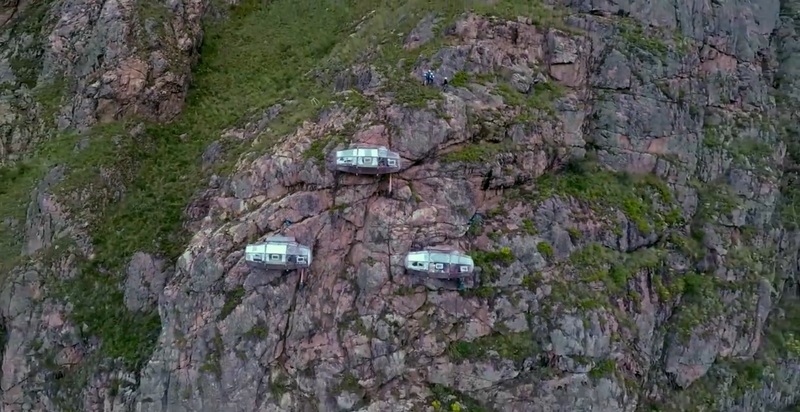 The vertically hanging transparent capsule suites are situated at the top of a 1200 ft mountain with a 300 degree view of a majestic Sacred Valley. Hand crafted out of aerospace aluminum and weather resistant polycarbonate, each suite comes complete with four beds, a dinning area and a private bathroom . At Natura Vive four interior lamps and a reading light are all powered by solar panels that store energy in batteries. Each suite has a private bathroom separated from the bedroom by an insulated wall. Inside is a dry ecological toilet and sink, where you can still enjoy the gorgeous views through the 1.8 meter diameter dome. The dome also has curtains for privacy from the curious gaze of passing condors (your sky neighbors). Fine quality mattresses, cotton sheets, down pillows, and quilts ensure a warm and pleasant night 400 meters from the ground.